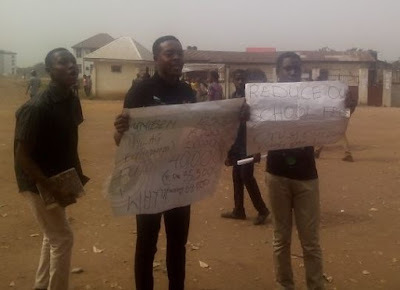 Students of the Federal University Of Technology, Owerri (FUTO) took to the streets to protest over exorbitant school fees levied on them by the school management. We got information that Fresh (100 Level) Students still pay an additional acceptance fee of NGN 42,500 making a total of NGN 124,000. Students still have to pay huge amounts for accommodation and course registration. A student claimed that fresh students pay more than NGN 20,000 for various course registration apart from school fees and acceptance fees. There was heavy police presence on campus to ensure that the students do not vandalize the school property or create any havoc during the protest. 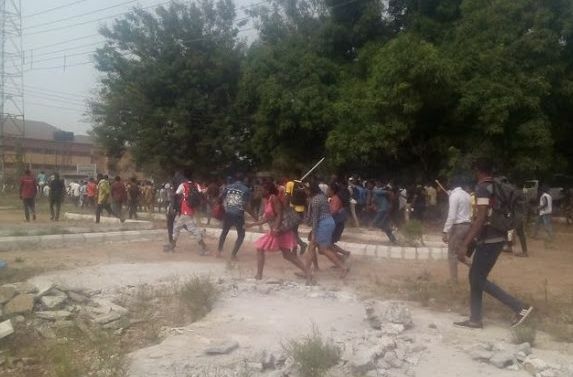 Students decided to go on a protest when the school management gave them an ultimatum to pay up today or pay a fine of additional NGN 10,000.